"SGS" stands for Single leg, Grab hook & Sling hook with safety latch. 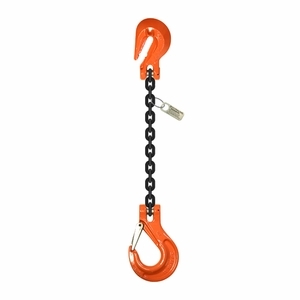 These Grade 100 chain slings feature a grab hook on one end and a latched sling hook on the other end. They are popular for overhead lifting and load securement purposes.